Heavy machines typically combine sand, rock, water, and cement to create different types of concrete material. Concrete is a fabricated construction material used to build roads, sidewalks, and building foundations. A concrete plant is a facility that makes concrete. This plant uses large, heavy machines to create and form concrete. These machines typically combine sand, rock, water, and cement to create different types of concrete material. A concrete plant is also known as a batch plant. This term is often used because the concrete mixture is made from a batch of ingredients. The plant can make either wet or dry concrete material. 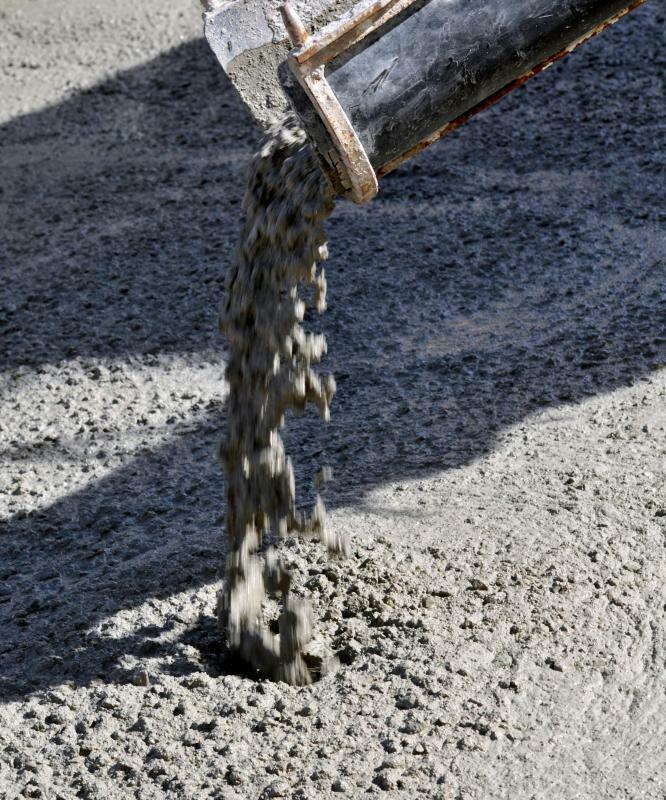 These are known as ready mix or centrally mixed forms of concrete. Many types of concrete mixers are used at a concrete plant. Some examples include tilting mixers and non-tilting mixers. These mixers are large metal cylinders that churn the batch of concrete chemicals to form concrete mix. Most modern concrete plants use specialized computer systems to manage the mixing of ingredients. This software automatically adds the appropriate amount of each ingredient for a specific batch. The computer also manages the churning of heavy mixers and equipment to ensure the ingredients are fully mixed before they are poured. A concrete plant includes a vast array of heavy machinery and manufacturing equipment. Typically, a larger conveyor belt system feeds the mixing aggregates into a mixing bin. The conveyor belt system makes it safe for operators to feed ingredients because this work can be done from a distance. After the concrete is mixed into a batch, it is loaded into concrete distribution trucks. These trucks take the pre-mixed concrete to the construction site. The trucks also have mixing tanks that churn the mixture while the truck is in motion. This keeps the concrete from hardening while in route to the building location. Once concrete hardens, it becomes extremely heavy and difficult to manage. This is another issue with concrete plants because unused concrete becomes a bothersome waste. 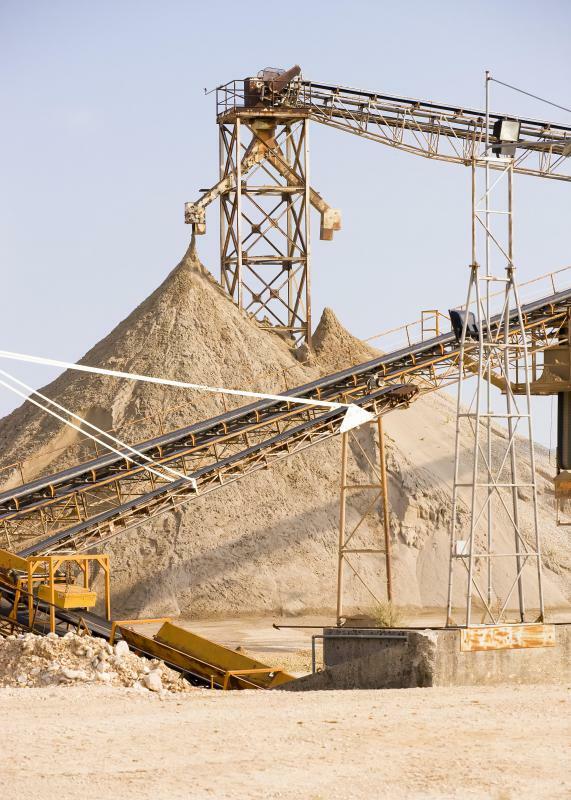 Many modern plants have reuse polices that require unused material to be crushed and used as concrete aggregate. A concrete plant is typically located in an industrial area of a town or city. This type of plant creates dust and debris when making concrete, which can be harmful if inhaled. A typical plant spans many acres of land to ensure safety from the general population. What Is a Concrete Conveyor? What is Self Leveling Concrete?